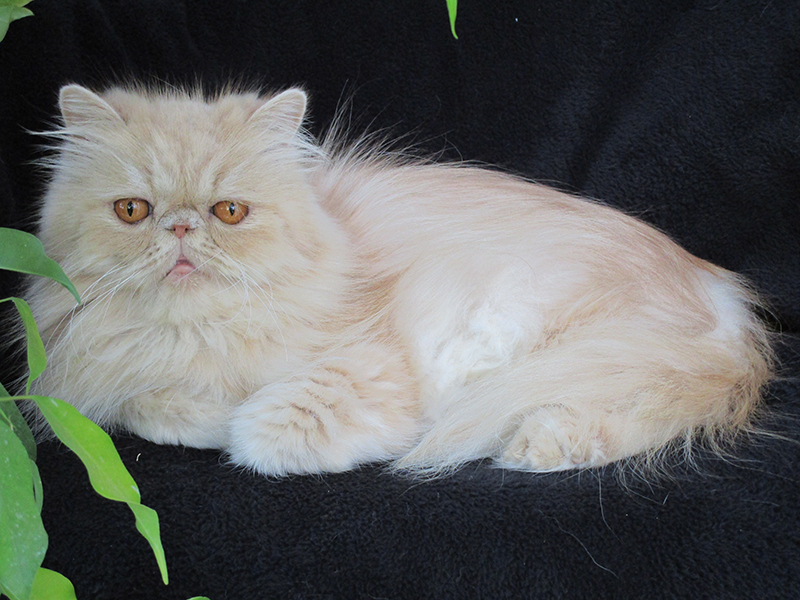 Another stunning Cream Persian from Soneri. 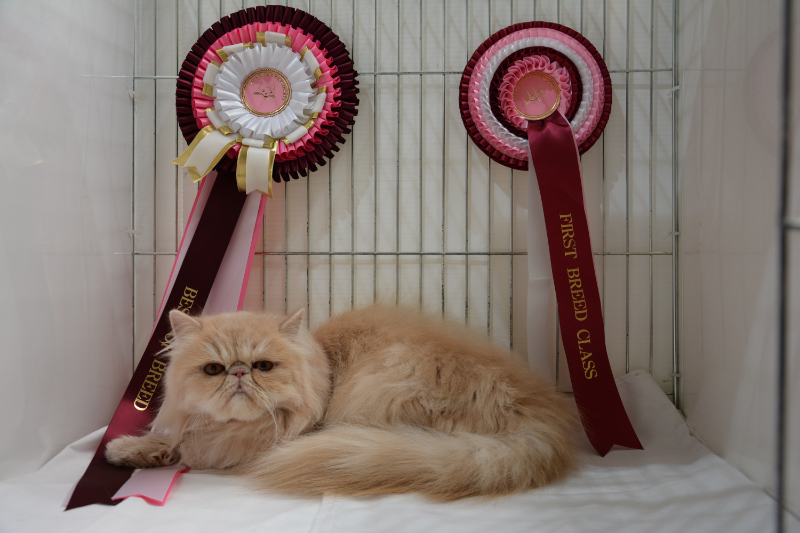 Loveday made her show debut at the Longhair Cat Association Show in Hertford. 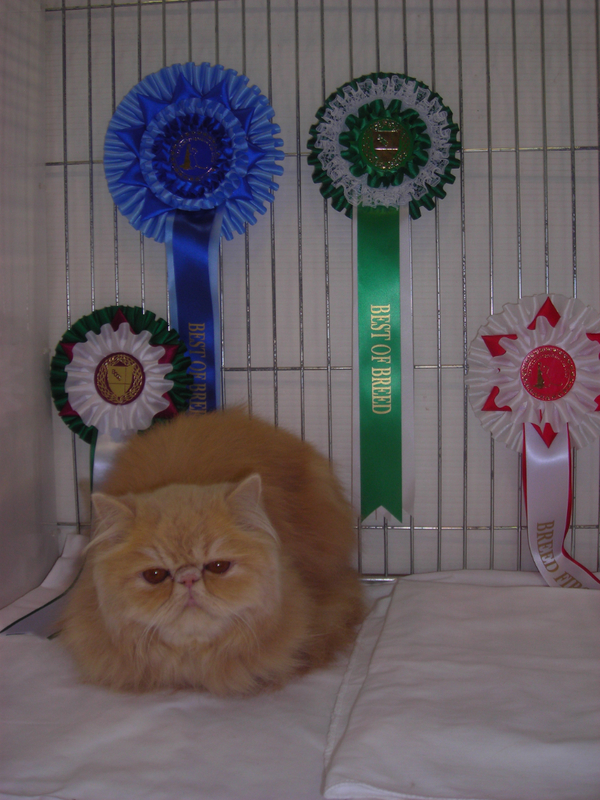 She won a first, Best of Breed, and a Silver engraved Cup, for best Cream Persian. 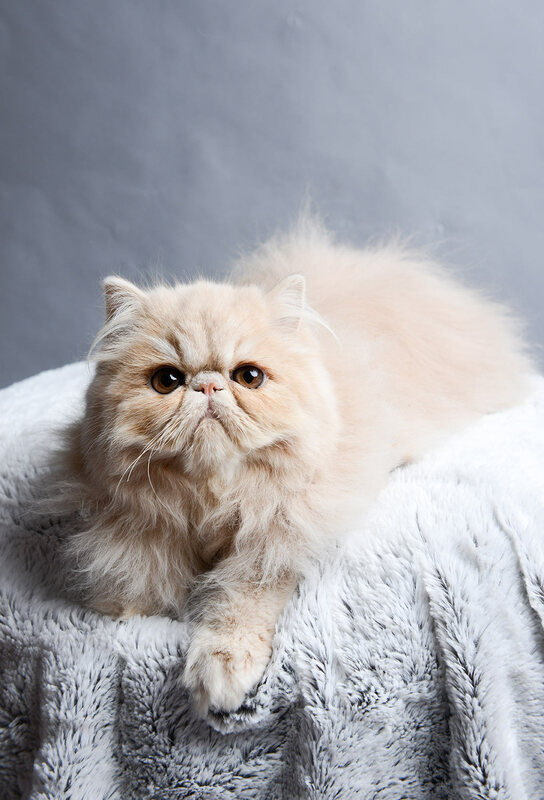 Loveday has the sweetest expression, with huge eyes, neat ears and a stunning, soft pale cream flowing coat, which is sound in colour to the roots. 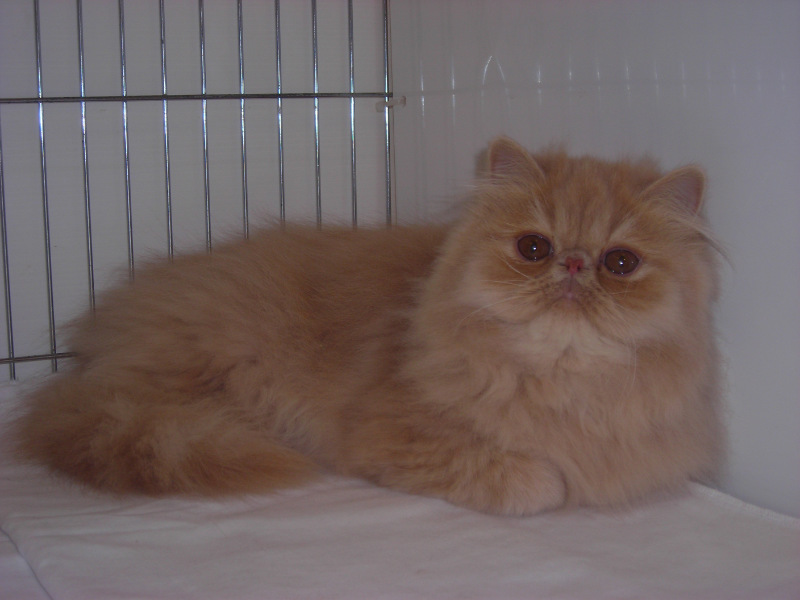 She has a gentle affectionate nature, which would melt hearts of stone. She attracted a crowd of show judges around her pen in admiration, and it is easy to see why. 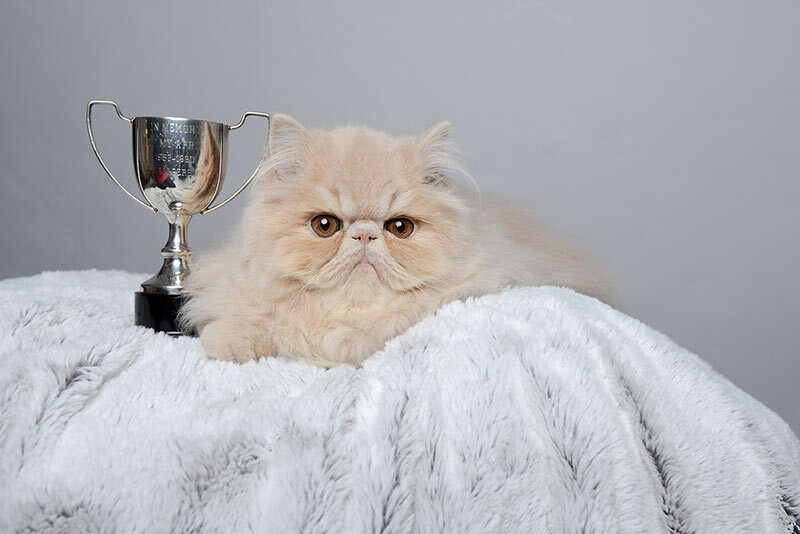 Loveday won 2 Challenge Certificates at the “back to back” shows – The Cambridgeshire Cat Club and The Bedford and District Cat Club in Kettering. 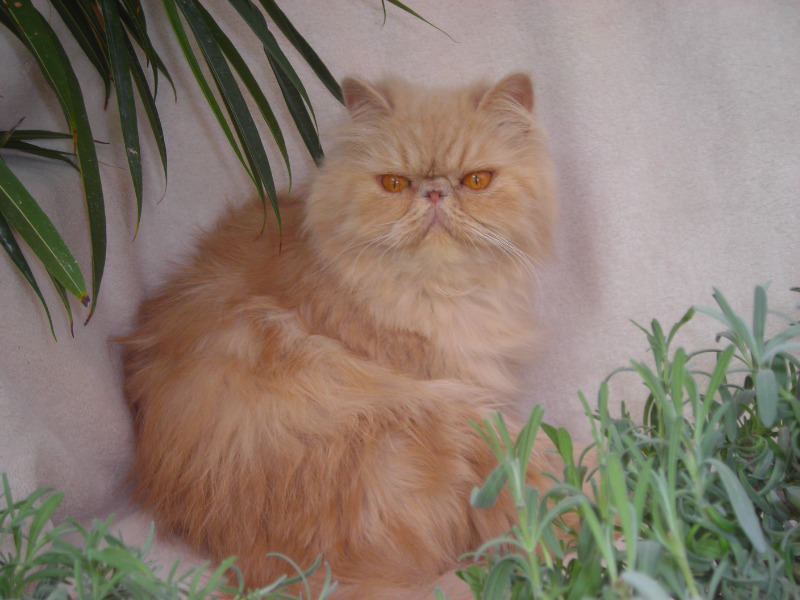 She wowed the Judges and public, with her excellent type, super pale coat, angelic looks and sweet, gentle nature. 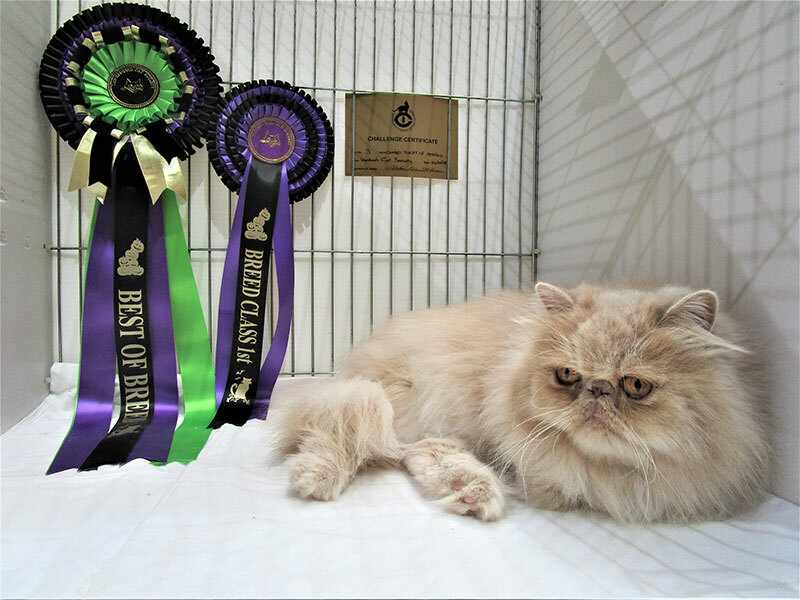 Loveday became a Champion at The Kentish Cat Society Show winning her 3rd Challenge Certificate, where she attracted countless admirers. I am so proud of my girl. Loveday and Sisley are now featuring in the glamourous,celebrity world of professional modelling and acting. 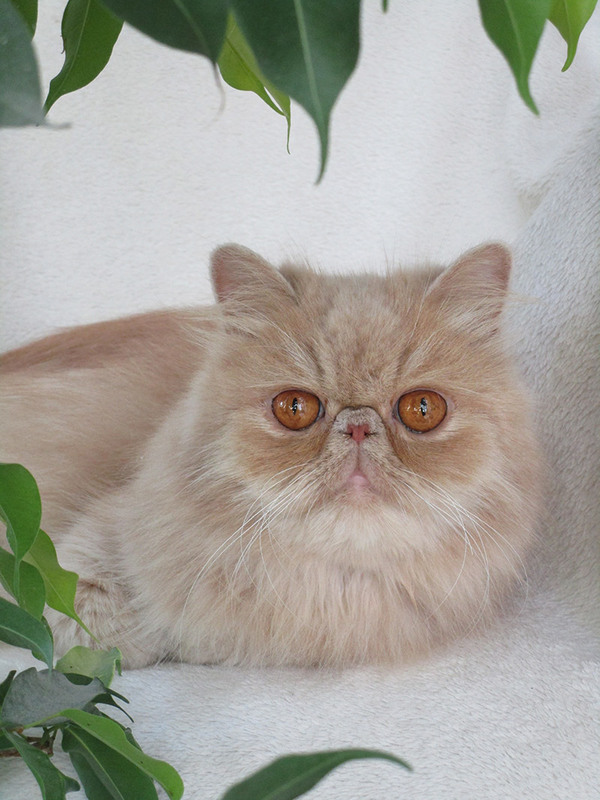 Sisley became a Champion at the Kentish Cat Show, she won her 3 Challenge Certificates, in 3 straight shows: The Surrey and Sussex Cat Association in Woking, The Essex Cat Club in Swanley and The Kentish Cat Society Show in Maidstone where she wowed the Judges, with her dense flowing pale cream coat, huge appealing eyes and sweet affectionate nature. I am so proud of my gorgeous Sisley.